Here are 7 exceptional statements that would make you pause and think. 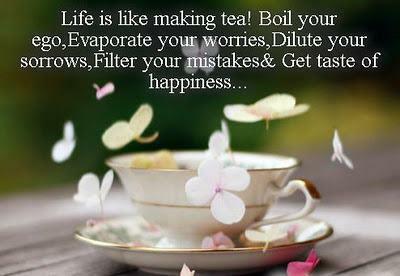 The more important element though is to appreciate the logic and then apply it in day to day life. The focus of this post is to encourage you to apply the logic in our everyday life and thereby enrich the quality of our daily living. Make Peace with your past so that it doesn’t spoil your present. Don’t use the excuses related to the past to justify your failures of the present. Instead, delve into your inner spirit and challenge yourself to make today and your future something special. Have no regrets. Failures/ poor marks in exams, failed relationships of the past, the criticism and taunts, the anger and frustrations have to be left behind in doorway of the past. However, if there is something from the past that has relevance to your personal improvement, do make it a point to learn from it. This is especially true of negative feedback given by others which may have been hurtful then but from which you can profit now. What others think of you is none of your business. Your business is to focus on what you have to do. Never make the mistake of doing something to please others. Sometimes you have to be upfront, honest and frank even if it means displeasing people in authority or people with whom you share a very close relationship or bond. However, at times you must pause and think about any suggestions or comments or feedback that others express for there could be opportunities for you to learn from it. Time heals almost everything; Give the time, sometime. There are times when you feel low. Other times you in physical or emotional pain. One tends to rationalize the pain but often it seems to keep coming back in waves and overwhelm us. Fortunately for us, time is a great healer. While we may not forget a hurt or pain, over time the intensity of it gets reduced. Losing a loved one or a jolt in a relationship are deeply painful experiences and the immediate reaction is to go into depression and despondency. If one can tide over the initial shock and hurt, time is sure to give you relief and peace. No one is the reason for your happiness except YOU yourself. A critical mistake we make is searching for happiness in external happenings and material things. A new mobile phone or a new dress would certainly make us happy but it won’t last for long because the craving to get something new would forever haunt us. On the other hand if we find happiness in the simple pleasures of daily life, could be the bright sunlight or the tasty breakfast or the mere thought of having a good day, it would last longer and become more meaningful. Happiness is a choice you make every moment. You form that habit and happiness will envelope you. Don’t compare your life with others; you have no ideas what their journey is all about. Jealousy is a very human emotion and unfortunately a very poor emotion to retain. The root cause of jealousy is our tendency to compare ourselves with those who are more successful or happy or richer than us. If we compared our self with those less blessed and less privileged than us then we would value our life and our riches with greater understanding and joy. The trouble with comparison is not just that we use the wrong benchmark but that we compare very selectively. We see their success but never pay attention to their hard work, their sacrifices, the pain they underwent and the numerous failures they have had to overcome to reach where they are. Understanding their journey will make us appreciate our blessings in the correct perspective. Stop thinking too much; it is alright not to know all the answers. We plan, we think about the future, we rue the past, we imagine that we could have been even better off if we just had a little luck and the right connections. Perhaps we are also trying to gain all the knowledge but not really using it. At times we are trying to beat google at its own game. We try to be pragmatic and minimize our emotions lest we succumb to our emotions when we take decisions. We are human beings because we have emotions and so logic and knowledge while being very useful, would not make us better human beings unless we let our emotions have a say too. It is ok to be less informed but more connected with life. Using all the alphabets of your first name, middle name and last name list out at least 5 English words. How many of those words represent your nature. E.g. Thomas Jeffery Hanks – thanks, meet, fat, same, shame, far, mat, most, share, hare, etc. List out the names of 3 people who you are envious / jealous of. For each write down 3 attributes they posses that makes you envious of them. Can you also list out 3 reasons why they deserve the success they have attained? What are the 3 questions that keep recurring off and on? 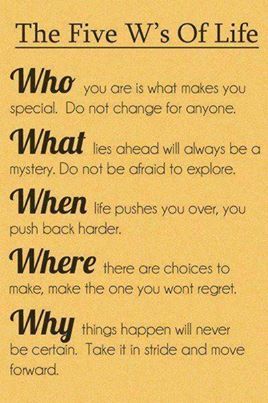 Any reasons why you feel threatened by these questions or uncomfortable trying to find answers to these questions? Make a list of 5 of your favorite jokes. Share it with your friends the next time you have a get-together. What has been your worst personal experience to date? How have you coped with it? Have you got over it ? A key reason we get stressed is because we continue to grapple with our problems by constantly attempting the tried and tested ways, instead of stepping back and letting the dust settle. If you have noticed muddy water that has been stirred up, it will be difficult to see through till you let the mud settle. The same happens with our problems and challenges. There is no better example than the numerous devices we use constantly, the mobile phones, the laptops and the near extinct desktops. The simplest way to get it going when it seems to have stalled is to simply switch of the power. Unplug the power and everything settles; then reboot and begin anew. 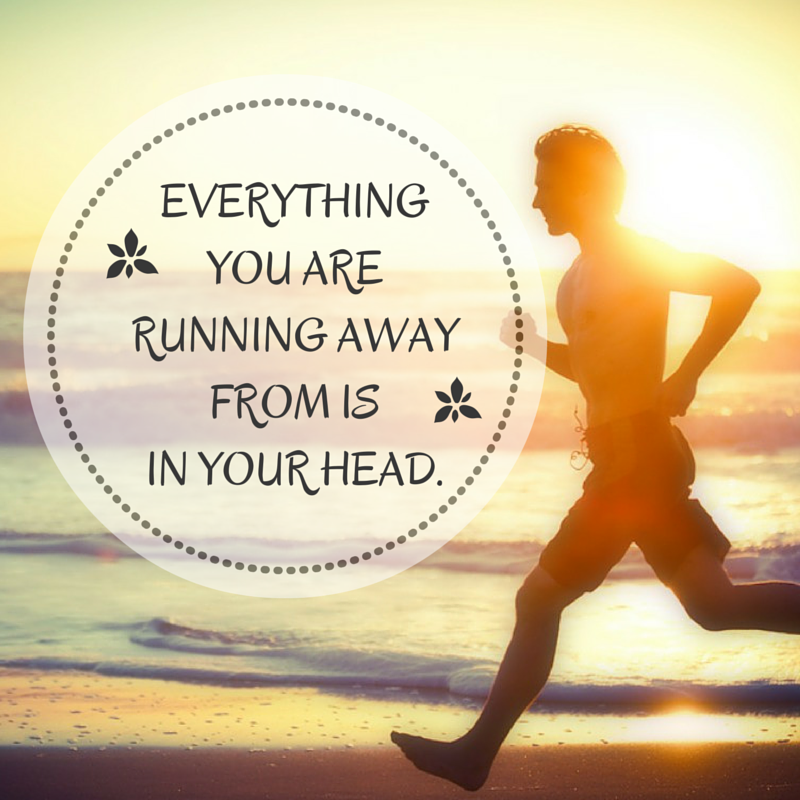 The best way to unplug from troubles is to distract your mind. This simply means forcefully directing your mind to other more pleasurable alternatives that are stress relievers. Take a walk, watch TV or read a book or get engaged in some activity that you enjoy like your hobbies. While trouble itself will not go away, your mind will become calm and you will be able to think more incisively and get more focus on how to proceed ahead. Another way to unplug is to unburden. ‘Share your troubles and halve it’ is the principle that we leverage here. We share our problem with people whom we trust and people who we believe would have some tangible solutions or at least make invaluable suggestions. While we share our problem we also subconsciously get greater clarity about the issue, our mind feels more relaxed that someone else is sharing our burden and the chances of getting some fresh insights from others to alleviate or tackle our burden is higher. Those listening to our problem also offer empathy, support and most of all give us some of their insights into coping with the problem. The most common way to unplug is to sleep over a problem. This is tougher than it seems simply because a troubled mind would not easily get sleep. However, if one develops a style of setting aside the problem for a fair time, when we re-look the problem new thoughts and solutions seem possible. If one can literally sleep over a problem, the subconscious mind would often work in the background and conjure up possibilities that our conscious mind would not have generated. However one should not be like an ostrich burying its head in the sand hoping the troubles not seen would vanish. Try some simple cross words or Sudoku. At first for those not used to solving such puzzles the challenge seems overwhelming. However, once you make an attempt and try it a few times, you get the hang of it and the challenge would not seem so daunting. For a rather long stretch of time for a variety of reasons my blog posts were not being regularly updated. While the issues that confronted me were varied, on hindsight none of them were serious enough to qualify as valid excuse for not keeping up with my target of writing at least once a week. 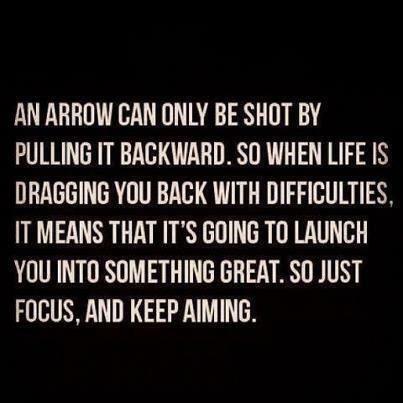 It was therefore very fortuitous that I came upon the above quote, which kick started me to get back to my writing. It is said that one cannot be pushed from behind or pulled from the front but has to be driven from within, to achieve and attain success. It is in this context that a dream is a must for every individual so that it becomes a goal and a reason for us to aspire, perspire and acquire success. With a dream comes the waking up to reality; with the dream comes the desire to act; with the dream comes the possibility of achievement. Waking up to reality: Dr.Abdul Kalam famously said that ‘A dream is not what you see in your sleep; it is something that does not let you sleep’. Translate your interests, passion and dreams into a tangible, vivid and positive goal. With this goal as the focus, outline the logical steps to be taken to move towards the goal. Obviously there would be obstacles that loom large, difficulties that seem insurmountable, self-doubt about your own capabilities all of which nudge you to realize that you have to be prepared to accept the reality that your dreams are attainable provided you are ready to pursue your dream with pragmatism, optimism and enthusiasm. Dreams evoke the desire to act: While the reality would be challenging and terrifying at times the dream itself would be alluring, exciting and exceptionally rewarding. It is these enticement that help you take proactive steps to pursue your dreams by taking your first steps that you have already visualized and outlined. Even when there are setbacks or frustrations the effort taken will never be in vain for you would have traversed quite a distance, made significant commitments by way of various resources and turning back or giving up would be not an option at all, Perhaps you would pause to review, re strategize and or rework your plans but the dream would be your goal. Strong possibility of achievement. It is the compelling and tantalizing lure of the dream that will always provide the pull and magnet for effort to bear fruit. You can always make your dreams come true once you have begun in faith, proceeded with gusto and believed in yourself. Watch out and avoid falling prey to criticism, setbacks, resource limitations and fear. A worthwhile dream will always fuel your spirit, nourish your desire and propel you to take the leap of faith that bridges the chasm between giving up and getting up. I just did it… you can do it too…dream big…stay cool…receive in abundance. Take the first 3 top priority and jot down a couple of dreams that can seamlessly incorporate our priorities and at the same time give you the impetus to follow your dream. 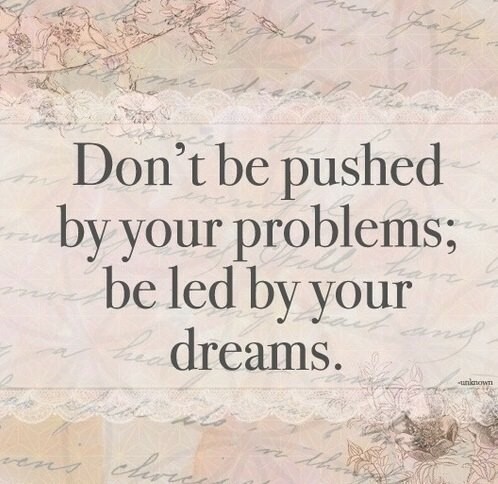 So what are you doing to achieve your DREAM for each of the above despite the problems that you have indicated? Disappointments are inevitable…but you can overcome them ! How many of you reading this feel they are always unlucky and never win be it a lottery, or a game of tambola / housie or just a lucky draw at a raffle? Disappointment is a natural corollary at the end of any such game for all those who never win and worse still miss out on winning by a whisker. There are others who seem to be very lucky but are disappointed that they never win the big stakes. Perhaps most of us see these as minor disappointments of everyday life and get over our disappointments in these situations quickly. However, the larger disappointments come from our self set (often unrealistic) expectations; be it grades in exams, winning a match, meeting a deadline, meeting a commitment or it could be expectations related to a large salary rise or a promotion or worse still expectations from our children in their scholastic, personal and professional life. One consolation that softens the pain of disappointment is the realization that everyone suffers disappointments albeit in varying measures. However, it is coping with disappointments that are a huge challenge for us.. While the techniques to cope would vary it is essential to be aware that we should not let disappointments become an excuse nor let it fester in our minds and poison our thinking and actions. Here are a couple of pointers to overcome disappointments, quickly regain our composure and motivate us to strive for something even better than what we didn’t get. Accept disappointments as inevitable: No matter how well planned and careful one is circumstances are uncontrollable and obviously disappointments will lurk around. Escaping disappointments is not an option and accepting this reality is the first step in coping with disappointments. Eg. Flight delays can be very frustrating just as not getting reservations be it for travel or at the theater can be equally disappointing. Put disappointments in perspective: Well some disappointments will always be more painful than others. It is our ability to be rational and pragmatic about the disappointment that will bring equanimity into our life. E.g. Not getting a ticket for a movie could be huge disappointment if you were with a date but a flight delay could be terrible if you were to miss an important long haul connecting flight because of the delay of the first flight. In either case it is essential to reconcile to the reality and make the best of the inevitable situation you are faced with. Seek a positive in the disappointment: To make the best of the inevitable situation you find yourself post the disappointment, force yourself to find a pleasant alternative. This needs a little imagination, a spark of creativity and a stout heart to overcome the disappointment. E.g. If stuck in a stopover town due to a delayed flight, the best option is to explore /discover the nuances of the place. If you missed out on getting tickets you alternatives could range from a surprise fine dining experience to exploring alternative entertainment options or simply going on a drive. Focus on the many blessings you have: Pause for a moment and think of all the things that you are blessed with. Loving family, decent lifestyle, good education, freedom to pursue your dreams and the list is endless. 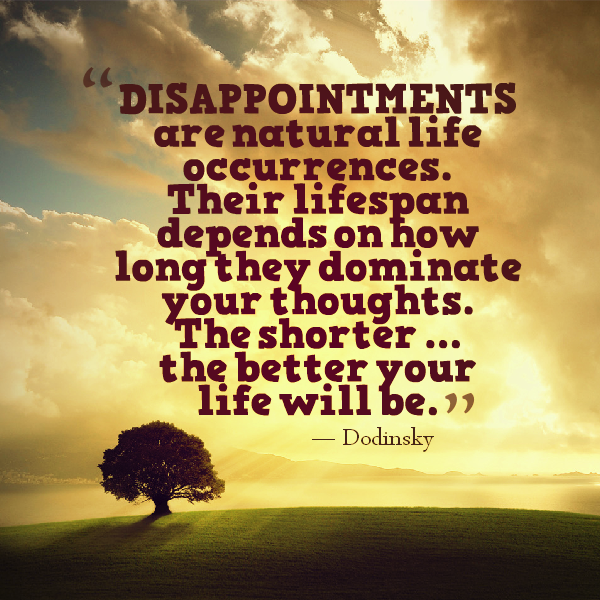 So the disappointments you encounter are mere blips in an otherwise reasonably good life. Learn to let go of the disappointments and instead embrace the fortunes that you are blessed with. Be aware that no disappointment can overcome your spirit: Disappointments are equivalent to the little pricks that one has to endure when romping through the woods. We never give up on our trek or hike merely because of a couple of untoward mishaps or stumbles or a scraped knee. It is our enthusiasm that props up our spirit, strengthens us to endure and motivates us to the very end. We need to realize that it is this same spirit in much larger doses that will always insulate us from giving up when faced with disappointments. You are unable to recollect the location of an important document that you remember having kept very safely. You are in rush to catch a flight and discover that your car won’t start and you have reach the airport on time. You pick up your favorite coat and notice a large ugly stain on it. A long lost friend is visiting you and gifts you something. On opening the gift you find it is something that you craved for but it has the most terrible color that you despise immensely. You are invited to be the keynote speaker at a prestigious seminar. You have worked hard on your speech but on the day of the address, you wake up feeling feverish and with a terrible sore throat.